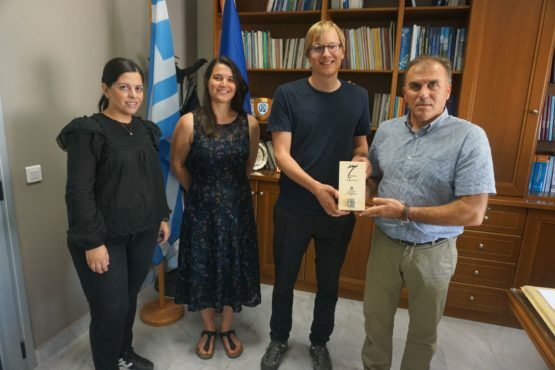 In Ierapetra, a city in the southeast of the Greek island of Crete, Nikolaus Fleischhacker and Magdalena Schreter (FEN Systems from Tyrol) met with the mayor of the city and officials for working together in all H2 matters. The meeting was mediated by Manos Stamatakis, the Project Manager of Demo4Grid. This project is supported by the Fuel Cells & Hydrogen 2 Joint Undertaking (FCH2 JU) of the European Commission under grand agreement N° 736351 and the Swiss State Secretariat for Education, Research and Innovation (SERI) under contract number 17.00002.